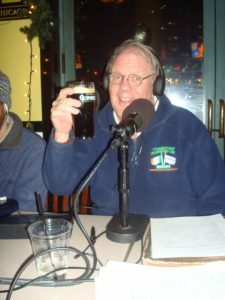 Tune in to the podcast of today’s Skinny & Houli to hear Chicago and St. Rita legend Tim “The Big Guy” Maher promoting Chicago 16inch softball in the land of its’ birth. Tim is a great supporter of Catholic League Prep sports and the Commissioner of Chicago’s 16inch Softball. Tim is also organizing reunions of Visitation Parish on the southside and a host of reunions this summer, so tune in. We also covered the recent legislation approving gambling in Illinois and it’s positive impact on our economy. Lots of laughs as well with this week’s Who Cares segment and the great news about Jack “Dr. Death” Kevorkian and his recent demise. Also this week Reilly’s Daughter joined us a sponsor in celebration of their 35th Anniversary as a saloon. Boz’s son Brendan can be heard telling the story of Reilly’s Daughter on their commercial along with our stalwart sponsors Flood Brothers Disposal, Jack Desmond’s Irish Pub, O’Rourke Cartage and Lizzie McNeill’s Irish Pub.